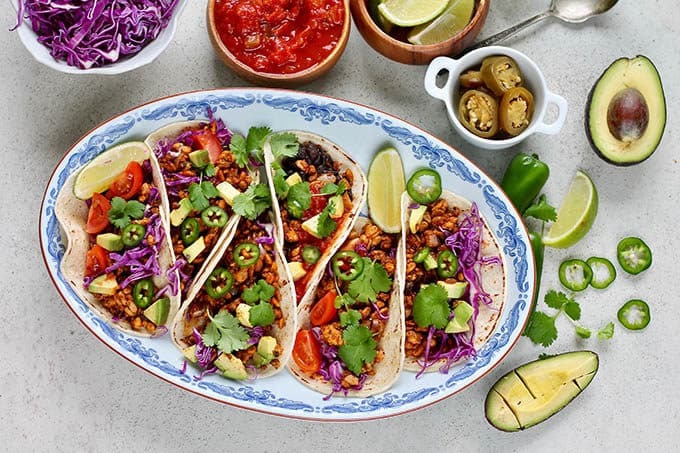 Tempeh Tacos!!! These vegetarian tacos are made with an easy vegan taco filling made from tempeh. They’re super fast to make, healthy, and delicious, and the vegan taco meat is full of plant-based protein.